Innovative Home Inspection Services is here to help you make an informed decision when it comes to your real estate purchasing needs. Would you buy a car without a test drive? Then why would you buy a home without a home inspection? Buying a home is typically the biggest investment you will ever make. This is why it is important to have a home inspection. The inspection will allow you to discover and document defects that may not be obvious to you as a buyer. Such defects can range from simple replacements or repairs, to severe damage or safety and health concerns. Most buyers spend an average of 15-20 minutes in a home before making an offer. The home inspection will allow you an additional 3 hours to really explore and make an informed decision. The home inspection also gives you the opportunity to negotiate for repairs by licensed contractors or a price reduction. As an example, the national average for a plumbing repair is $400. 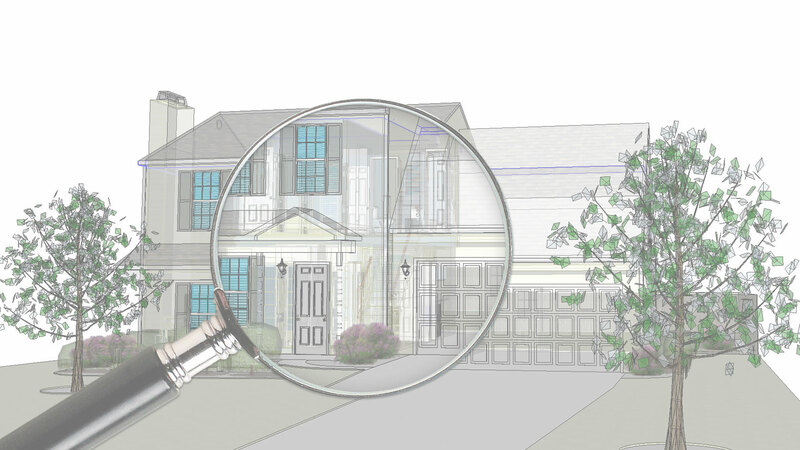 The home inspection rate can vary based upon the square footage of the home. The cost will also vary based upon any additional services such as radon testing, having a sewer scope performed, or laboratory testing on things like mold, lead, or asbestos. Before the inspection, you should find out what will be included in the inspection and what won’t. These details will also be outlined in the inspection agreement that you will need to sign prior to the inspection which you will receive via email. Depending on the home’s age, size, and location your home inspection may take up to three hours or more. Adding square footage, outbuildings, and/or additional services (such as a sewer scope or radon testing) will increase that time. If your general home inspection takes significantly less than two to three hours, it may indicate that the inspection was not thorough enough. This is a thorough top to bottom inspection of the exterior, interior, and working components of the home. You should attend the inspection, and you should reconsider hiring an inspector who doesn’t allow this. As a buyer you can learn a lot by following an inspector through the home. You will certainly gain a better understanding of the home’s condition, which will give you insight into its potential sale points and defects. Additionally, you will likely learn information about the home’s maintenance, systems and components that may provide useful for the transaction and help you to feel more comfortable with the home after moving in. The goal of the home inspection is not to just find defects, but to teach the home buyer about the home they are purchasing. It is also recommended that if you have children to find care for them during the inspection since you will be a guest in someone else’s home and some hazards will be present. During the inspection, access to hazardous areas will be opened, such as crawl spaces, attic access, mechanical components, and the electrical panel.